Discuss your needs including price, location and style. Get pre-qualified and/or pre-approved: Not only will you clearly understand your budget, but you also will show the seller you are a serious buyer. Search for homes: Your Keller Knapp agent will search for every available home that meets your criteria (as well as a few “outside the box”) and will schedule showings that are convenient for you. Make an offer: Your Keller Knapp agent will help you make an offer based on market data and terms that best suit your needs. Negotiate: Your experienced Keller Knapp agent will work diligently to negotiate on your behalf to reach the best possible outcome for you. You’re Under Contract: You and the seller have agreed to certain terms and now must work within a certain timeframe to implement those terms. 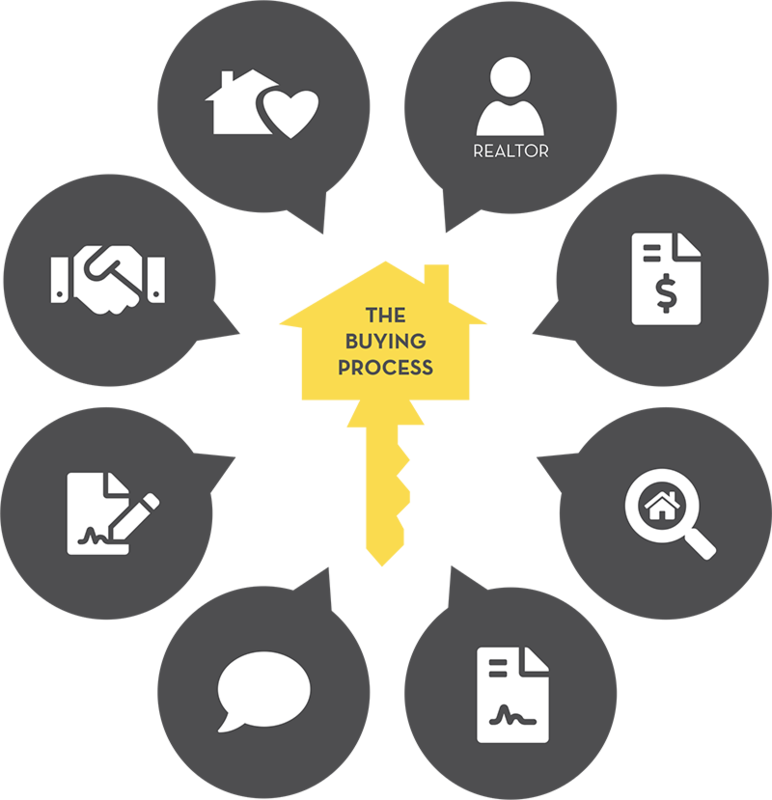 Move from contract to closing: Your Keller Knapp agent will guide you through every step toward closing on your home including holding your earnest money, performing due diligence, ordering an inspection and appraisal, and reviewing terms with your lender. Close on your new home: Your Keller Knapp agent will schedule the closing where you will sign all necessary paperwork to finalize your loan, disperse funds, and transfer the the home’s title to your name.